This story start when Barbie is about to release her new film and goes to the premiere with Ken. Everything is going great until a fairy takes a picture of Ken for Princess Graciela who has drunk a love potion and falls in love instantly of Barbie’s boyfriend. From that moment on Princess Graciela does everything to marry Ken, and reaches its limit when she kidnaps him and organize a big wedding despite that poor Ken doesn’t understands at all what’s going on. 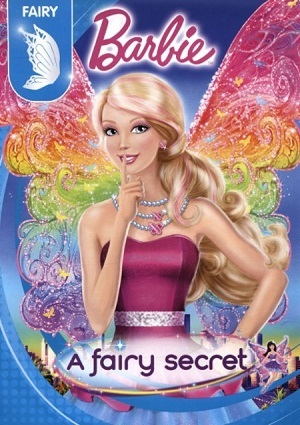 The fairies’ kingdom is at chaos and so is Barbie’s life, she does not know what to do to help her boyfriend who has been brought to that kingdom; Barbie needs to find a way to enter the fairies’ kingdom and finds out that her two assistants are the only ones that can help her given that they hide a secret that is now very useful to save Ken. Meanwhile Princess Graciela has everything ready for the wedding: the ceremony, the guests, everything. Will Barbie be able to get in time to prevent the marriage? Does the spell that princess Graciela has may be reversed? Receive Ken married? A Fairy Secret must be revealed! !